Women’s Velvet Robe Just $12! Down From $80! Walmart is currently offering this Women’s Velvet Robe for just $12 down from $79.99 PLUS FREE store pick up or FREE shipping for orders $35 or more! Prologue by Mosaic Bath & Spa’s Signature luxurious robes are famous. Super softness with an ageless, classic fit creates the perfect robes for the chillier months. With incomparable comfort, you will fall in love! 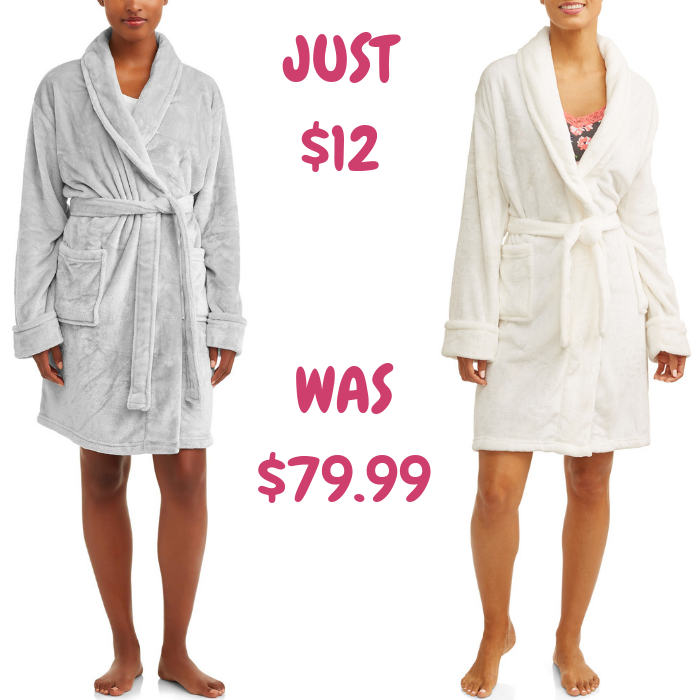 This soft luxurious robe is a one size that will fit most.